Update: Microsoft has commented on global pricing and availability. 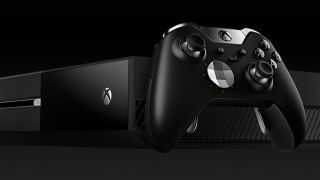 "The Xbox One Elite Bundle will be exclusively available at GameStop and Microsoft Stores in the U.S. for the month of November, starting Tuesday, Nov. 3. Starting Tuesday, Dec. 1, the Xbox One Elite Bundle will be available at additional retailers in the U.S. The Xbox One Elite Bundle is available for $499 USD ERP in the U.S. and global pricing and availability varies by region. Please check with your local retailer for more information." Microsoft announced the Xbox One Elite console bundle, cramming a bigger (and faster) 1TB of storage, as well as the Elite controller for precision-focused gamers inside the box. The top-tier version of the console will be available for purchase in the US on November 3 for $499 (£399, AU$599) and later on in the month globally. First introduced with its Xbox 360, Microsoft's Elite console variation has a reputation for including an increase in available storage for games, movies and music. Not only does the Xbox One Elite make good on that reputation, it props it up by including a solid state hybrid drive (SSHD), which is a combination of a solid state and spinning drive. It's not clear how the partitions inside the 1TB hybrid drive will be split, but my guess is that Microsoft is reserving most, if not all, of the solid state storage for its OS. Microsoft claims that the SSHD will boot into games 20 percent faster than what is possible with a standard spinning drive of current Xbox One models. The Xbox One is already painted the "Elite" black, so don't expect any changes to the console's appearance. However, the Elite Wireless Controller totally shakes up the formula of what the standard console package offers and helps to make the Xbox One Elite a heck of a deal. This $149 (likely £99, AU$199) controller has a much-improved directional pad, fully configurable triggers and a refined sense of heft. We spent some time with it at E3 2015 and thought that while it's clearly a product that will please pro gamers, the price is prohibitive. However, since it's included into the package, Microsoft's Xbox One Elite is a deal that even entry-level gamers can dig. We've reached out to Microsoft for comment on global pricing and availability of the Xbox One Elite console.